Every business is unique and also has individual requirements. Therefore, the suppliers that your business needs are also different due to your unique business models and scales of each period. Obviously, the way to find suppliers will also vary. Over the years, I have helped many people who want to import from China. To be honest, I selected 1 or 2 reliable suppliers from at least 100 China suppliers for all of my clients. I don’t deny that it’s really a headache. But at the same time, I also gained lots of experience in dealing with the suppliers. I think it’s necessary to write an article to share some of my personal experience and practical and surefire ways to find wholesale suppliers in China. Finding suppliers in China is a big topic, and hence I want to divide it into several parts for a detailed discussion. Read through with patience, and I promise you won’t be disappointed. 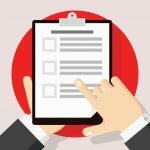 In order to avoid such similar instances, you must make sure of a few things before starting your hunt for a supplier. The first step should be conducting an in-depth analysis of your business model. Make sure you evaluate the market of your products, niche, and the required quantity of your first purchase order. Choosing a supplier that matches your business well can serve your business better. Importers who specialize in importing certain products, such as AUTO PARTS. Importers who want to develop a product based on their own ideas. Importers who have or plan on opening local supermarket chains. The commonality of these three e-commerce platforms is to ensure the diversity of products as much as possible. That is to say, a seller’s shop has many kinds of products and stores lots of inventories. Here big sellers can easily purchase and keep a large inventory of products. However, the order quantity of small or medium sellers is not high, since during the initial stages sellers must test the waters and evaluate the market response for the products they are offering. Each product will only need a small amount of inventory to test the market. After a period of analyzing sales, a large amount of stock can be purchased for the goods that had a good response. So, in this case, should you directly visit the manufacturer for purchasing products? Certainly not! The best approach would be to contact some online wholesalers and purchase a small number of products to test the market. DHgate and Aliexpress are the perfect places to start with. Yes, I am not recommending Alibaba here because the suppliers on Alibaba generally have a high MOQ. The purchase amount of a product must be at least $1000 or more. For example, if you just want to place an order worth $300-$500 or less, believe me, most Alibaba suppliers will not accept such a small order. Even if you meet a few suppliers who are willing to work with you, you will not get the quote you want. Furthermore, if you need some fulfilment service like Shopify, again Alibaba won’t be a good choice since this sizeable B2B site will not provide this kind of service. DHgate, AliExpress or some other independent distribution websites are your right choice. So, for Amazon sellers, a good product and a stable supply chain is of paramount importance for the start of your business. You should be more careful when looking for suppliers. If you are an Amazon seller, and reading this part of the content, I believe you will be deeply touched. I have some young clients who are selling only one or two products on Amazon and have already earned their first bucket of gold. It’s worth noting that if you look for a supplier on Alibaba , many Alibaba china suppliers will give you a large MOQ of even up to $2000 at the beginning. Don’t give up, try to communicate with suppliers, usually, there is some room to maneuver. You can get less MOQ, but it will mean that the price may be 20% higher. If the supplier is reliable, and the quality of the subsequent products is also guaranteed, then I suggest don’t be too concerned about the starting price. Once the sales volume of a listing is stable, you can slowly increase your MOQ to lower your unit cost and accelerate your profit. In addition to finding suppliers on Alibaba, you can also come to some of China’s exhibitions. Visiting China will allow you to communicate with suppliers for negotiating a better deal directly, and you may also find some unique products that are not available on Alibaba. This section is focused on importers who are in need of a particular type of industrial products, such as auto parts. 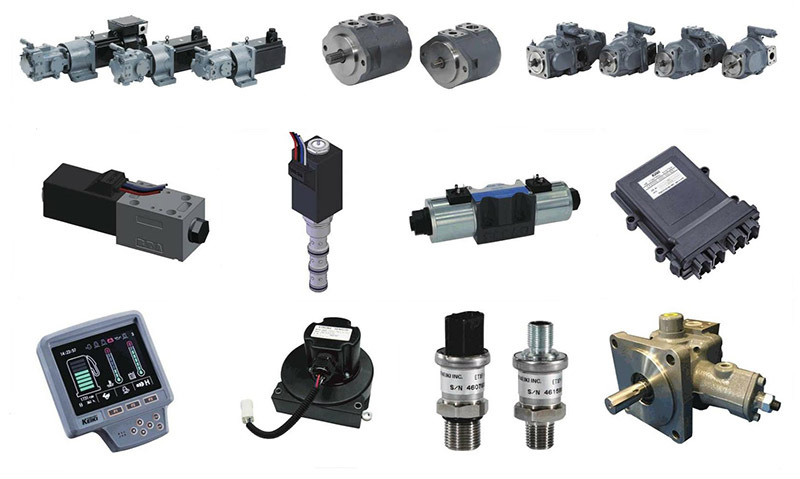 Unlike consumer goods, this category of products demands knowledge of various technical parameters, material, etc. to evaluate the quality. In addition to that, each product has several variations which makes it even more daunting to check the product just by looking at the exterior. In this case, whether you opt to purchase from online suppliers or hire souring agents, experience and expertise in the product category is important. Here, I will explain the pros and cons of both the purchasing options in detail so you can make the right choice. Read on. You can opt to browse Alibaba in search of relevant suppliers and also deal with short-listed suppliers yourself. 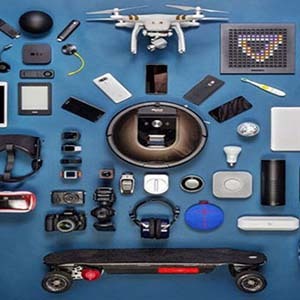 However, if you have a lot of product lines, you will have to spend a lot of time looking for suppliers of all the different product categories. It’s really tedious work. In this case, if you are able to find a reliable supplier through Alibaba, you can train him to be your sourcing agent. Let him help you source other related products. The advantage of using this strategy you’ll be able to avail the services of an industry professional and leverage his network and resources. You will also save time in search of the required products and their suppliers. Hiring a sourcing agent is also a good choice. However, it’s important to take the agent’s understanding of this product category into consideration. In addition to that, you will also have to find a very professional and experienced sourcing agent in this industry. You can’t just find a sourcing agent who is mainly engaged in sourcing daily consumer goods because they will take more time to research your product. Apart from that, it is also very likely that the agent will find a supplier that you are not very satisfied with. Both the options have benefits and drawbacks. It’s up to you to weigh them and identify the best possible option that works for you. Many people have their own products ideas. Of course, developing the idea into a tangible and marketable product is not as simple as printing a logo or replacing the product materials. I am talking about the innovation of product performance and appearance. In this case, I won’t let you go directly to find a sourcing agent. Osmay, One of our clients, who successfully developed an auto-stirred baby bottle under the brand name Baby Blendy, did not find us in the first place. In the absence of product development and experience in import, the normal mindset is to go to Alibaba to find the relevant product suppliers to know more about the details, and then come directly to China to visit the suppliers who you feel are doing well. Let them help you develop and implement your product ideas. The only drawback of this approach is that it takes lots of time to deal with the factory and all the things you need to do yourself. If you’re not lucky, the supplier will offer you an unreasonable product price, or the quality of the product will not stand up to your expectations. If you don’t find a manufacturer you are satisfied with by yourself, you can try to find a sourcing agent to help you out. They will find the right manufacturer from all over China based on your product design requirements and your budget. The surprising fact is that the agents can find suppliers you can’t find on Alibaba or even at the fairs. What’s more? They personally take you to the factory, help you negotiate with the manufacturer and visit the latest product showrooms. They play the roles of a negotiator, translator, and a supervisor to ensure that all your requirements are met. Of course, some of China’s major fairs are also good places to find relevant suppliers. But in order to find these suppliers at fairs and exhibitions, you must visit China at a fixed time every year and participate in the fairs. Importers who open local supermarket chains generally offer tens of thousands of products. Several products can be procured from their home countries, but there is a wide assortment of products that they need to purchase from China. However, the importers who do not have any experience in buying goods from China find themselves worrying about a lot of factors like finding the right suppliers, regulation compliance, and transport, etc. To be honest, you can find the suppliers yourself in China, but believe me, it is an incredibly daunting task. You have to spend a lot of time in search of suppliers for various categories of products. The best approach is to have only one source and therefore outsourcing is the best bet. In fact, most of the large retailers like Walmart, Costco, Carrefour, etc., do not source the products themselves in China, but purchase goods through trading companies or sourcing companies. Now that you’ve read my details explanation of best options for procuring products from China as per your business model, I hope that you are clear about the very first step. So, let’s move on to the next level. 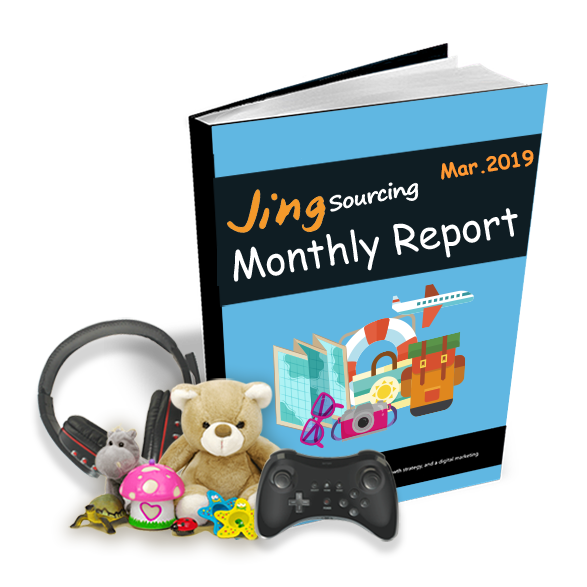 In this chapter, I will elaborate on who these so-called Chinese suppliers are, what exactly are their roles in the supply chain, and how the different suppliers partner among themselves. First, I will classify all Chinese suppliers into six categories and then introduce them separately. The manufacturers are the source of products for all the different types of suppliers in the market. As for you, the manufacturer is the supplier who will offer you products at the lowest price. There are two types of manufacturers in China. First ones are those who don’t have their own English salesman. They usually cooperate with domestic trading companies and sourcing agents, which means that these factories sell their goods to foreigners through trading companies and sourcing agents. The prices of such factories are the best. The second type of manufacturers is those who have their own English salesmen. They usually participate in exhibitions in China and abroad and also have their own online store on Alibaba. Some of these manufacturers also have their own independent websites online and even indulge in online marketing. You can search them on Google. The prices you get at this kind factory are comparatively higher than the manufacturers who deal through trading companies. But at the same time, their rates are lower than the price offered by a trading company. Plus, their MOQ is generally very high. So, if you find such a factory on Alibaba, you can expect their MOQ to be above $4000-$5000. If you specialize in certain products or want to develop your own product, manufacturers are suitable for you. They will generally give you a lot of advice on product design and will also help you develop the product at the lowest possible price. Trading companies are also called middlemen, who also help importers procure products from China. There are many trading companies listed on Alibaba, and you may also stumble upon factories on Alibaba that are actually trading companies. However, most of the times you can’t identify whether the supplier you are working with is a factory or a trade company, especially if it’s your first time on Alibaba. I have already written an article before on “Sourcing Good Suppliers on Alibaba” , which offers several practical tips for your reference. There are also some suppliers that will tell you directly that they are trading companies that can help you find a good factory. This is true. Usually, trading companies work with many factories, and finding a good factory is not difficult for them. Trading companies commit to trading service and have their own English salesmen, so communicating with them is also more comfortable. Additionally, you can get a relatively small MOQ (generally at $1000-$2000 at the beginning) because trading companies and factories have long-term cooperative relationships. Such companies don’t sell their own products; they are more focused on sourcing services. You can enjoy complete import services that include finding suppliers, production follow-up, quality inspection, and shipping arrangement. Therefore, many Amazon sellers prefer the services of a sourcing agent. 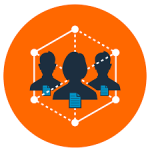 Compared to trading companies, sourcing agents are more flexible. They can help you find any product you want in China. Frankly speaking, a sourcing agent acts as your representative in China. You just need to tell them what you want, and they will procure the product for you. Hiring a sourcing agent is the best option for those who require several different products from China. For instance, if you need to purchase three different products from China, you will need to find individual suppliers for each product. In addition to that, you will have to compare at least five different suppliers for each product to find the best option. If you are just dealing with three different products you will have to find 15 suppliers or even more. Now, just imagine how many suppliers you will have to find and deal with if you are selling dozens or hundreds of products? In addition to some Amazon sellers, many experienced importers also choose sourcing agents to help them. For example, we have a client from the Czech Republic. He started with a purchase of hundreds of thousands of dollars, and purchased products worth 4 million dollars so far. Due to our long-term collaboration he trusts us with maintaining his supply chain and gets to devote more energy and towards the marketing of those products. Just like finding a reliable supplier, it is also essential to find a good sourcing agent. A good and reliable sourcing agent can help with the profitable and sustainable growth of your business. 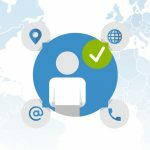 So, how can you find a good sourcing agent? Planning to visit China and explore the wholesale market yourself? Well, chances are you may find products at a better price as compared to the prices offered by the online suppliers. In China, the leading wholesale markets are in Yiwu, Guangzhou and Shenzhen. Many large and small factories are also concentrated around these three cities. 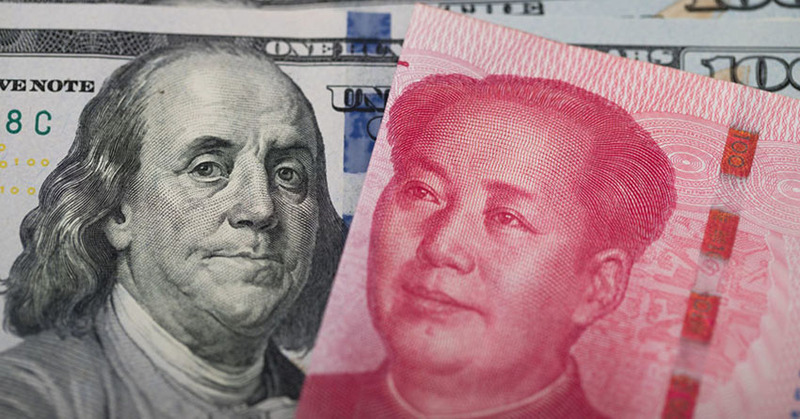 ♠ Most suppliers in markets don’t accept US dollars, only take RMB, and you can’t pay by wire transfer. 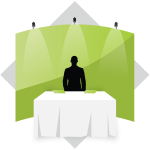 ♠ Find a competent i nterpreter in advance to help you communicate with the suppliers. 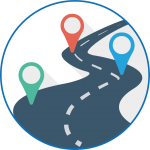 ♠ Find the freight forwarder in advance for helping you arrange the shipment in time. You can also consult with them about import matters. ♠ Or forget the first three points, find a local sourcing agent to help you complete the purchase in the wholesale market, then arrange shipment to your country. Small wholesalers are generally found on DHgate, AliExpress and other distribution platforms. Usually, the wholesale MOQ here is relatively small, and dozens of units are also available. 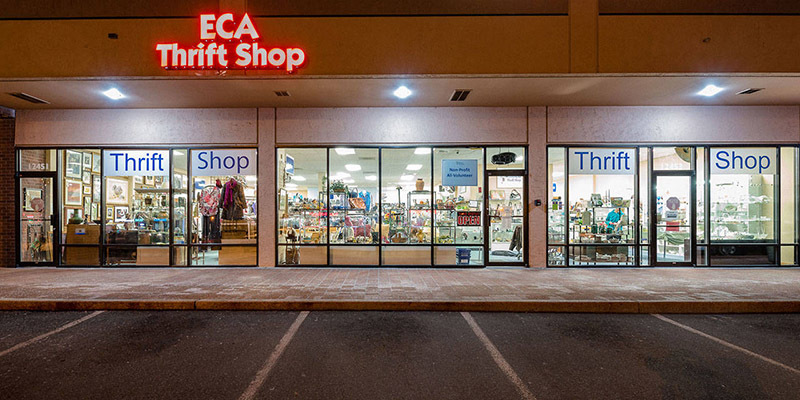 Dropshippers offer a retail fulfilment method where a store doesn’t keep the products it sells in stock. Instead, when your store sells a product, it purchases the item from a third party like Shopify and gets it shipped directly to the customer. As a result, you never see or handle the product yourself. If your customers have high-quality requirements for products, I don’t recommend you to find small wholesalers or dropshipper because you can’t guarantee the consistency of the product quality. These small wholesalers at these sites don’t purchase a lot from the manufacturer and often purchase from different factories. So it is difficult to guarantee that the quality of the goods will be the same every time. You can test the market this way when your online business starts, but it’s definitely not a long-term solution. Overstock products are products that manufacturers and wholesalers simply have too many stocks. The products that have some minor flaws but can be used are also considered as overstock products. Since the wholesalers need to get rid of these products, they are usually sold at reduced prices. At overstock market, you can buy a pair of jeans for less than a dollar. You can buy a toothbrush for a few cents. If that’s not surprising, consider buying the products and selling them back in your country’s local market. Every year tens of thousands of people from various countries come to China’s overstock market. So, you are not alone here. China’s two largest overstock markets are in Guangzhou and Yiwu. If you want to buy clothing overstock, then go to Guangzhou and if you want daily consumer goods, then go to Yiwu. 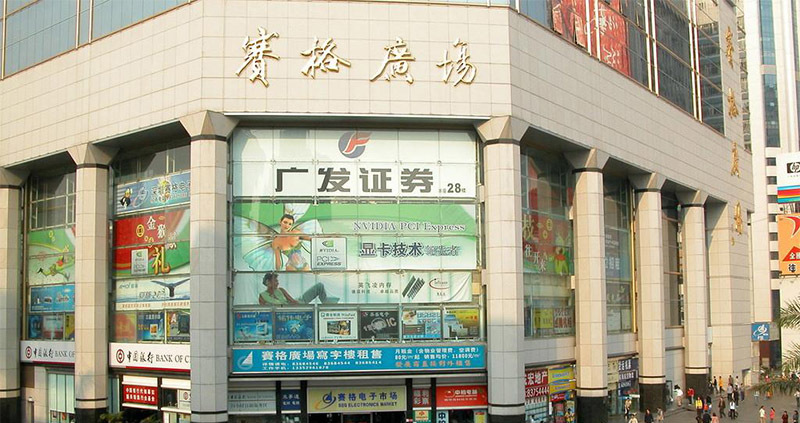 Yiwu has two overstock markets, Wuai and Jinfuyuan. Take note: When you go to China to buy overstocks, you must pay attention to the logo on the product to see if there is some trademark infringement. When you are buying overstocks, you will always find some products printed with Nike, Adidas, or Gucci logos. Even if some trademarks are someone else’s private labels, you also should be careful since the customs clearance of products with trademark is not always smooth. So, the best thing is to avoid purchasing products with trademarks or let your suppliers remove the logo for you. 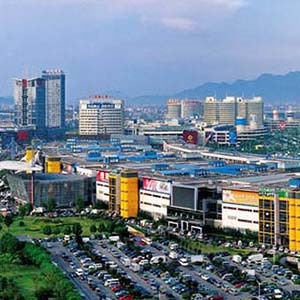 Yiwu，Guangzhou and Shenzhen are three major trade cities in China. Every wholesale market in these trade cities attracts suppliers from the surrounding industry belts. For example, in the Yiwu market, you can find that the suppliers are from the southeast coastal areas（Yiwu is a city on the southeast coast of China). Yiwu has the world’s largest wholesale market, which has more than 70,000 booths. The Yiwu wholesale market has five main districts, each with 3-4 floors. All the areas are connected and the layout of all the stores is quite standard. ⇒ Where is Yiwu & What is Yiwu Wholesale Market? ⇒ How to Deal With Suppliers in Yiwu Market? ⇒ How to Ship Products from Yiwu to Your Country? Shenzhen is a magical place where you can find a wide range of electronic products. Many trendy and cheap electronic products come from Shenzhen and its surrounding cities. For example, after the release of Apple’s new product-iWatch, many smartwatches with similar functions to this iWatch were instantly available in Shenzhen. Huaqiangbei (Huaqiang North 华强北) of Shenzhen is China’s premier electronics hub. The electronic wholesale market is distributed in those different buildings. 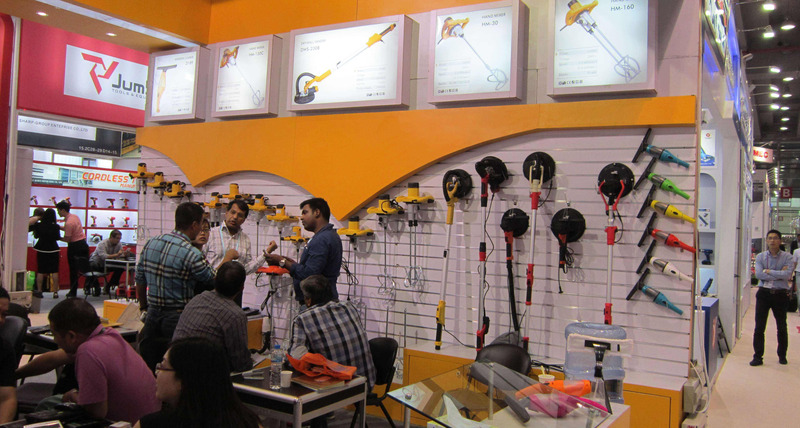 Seg Square is one of the most popular electronics markets. But I have to say that the layout of the electronic wholesale market in Shenzhen is not as standardized as the Yiwu market. Stores for the same product aren’t clustered together and hence you may find it challenging and time-consuming to search different suppliers and compare their products. Furthermore, some of the Shenzhen suppliers are unstable. After you work with them once, you may not find them easily again. For example, if you buy 1000 Bluetooth headsets in a booth in Huaqiang North Market and ship them to your country for reselling but later find out that 100 of them were defective after the sale. After half a year, you come to Shenzhen again and want to negotiate with suppliers about how to solve this quality problem. But chances are you’ll find a different supplier in the booth. This is a common situation in the wholesale markets of Shenzhen. If you really want to import electronic products from China, please refer to my article: Wholesale Electronic from China. If you trade in clothing, bags or luggage, come to Guangzhou. Guangzhou has the largest clothing and luggage wholesale market in China, similar to the electronics wholesale market in Shenzhen. The wholesale market in Guangzhou is also spread all over Guangzhou. Below, I’ve sorted out 1-2 representative wholesale markets under each product category. Of course, China is a labor-intensive production country. The above three cities are only the most popular trade cities in the industry belts. Different regions have different advantages, so each industry has its own industrial cluster. Below I will put the industrial clusters of each product industry on a table for your reference. There are two types of exhibitions in China, comprehensive exhibitions and professional exhibitions. The comprehensive exhibitions are easy to understand. The well-known Canton Fair is one of the most famous comprehensive exhibitions in China. You will find a wide range of product categories at fair. Professional exhibitions just show a single-category product. The advantage is that the supplier resources in one product category are very concentrated. For example, if you are doing baby bottles business, it is more suitable to go to the CBME than to go to the Canton Fair. There are many e-Commerce platforms where you can find suppliers such as Alibaba, Global Source, Made in China, DHgate, Aliexpress, etc. The differences among these platforms have been shared in many of my articles. 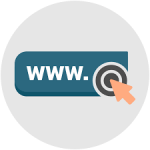 In fact, the method of finding suppliers online is similar. You need to remember the tips I shared with you, and the rest is to take the time to find a supplier. This is the same for anyone, no shortcuts. There are several different types of products on Alibaba, and there are relatively more suppliers on Alibaba than any other B2B sites. 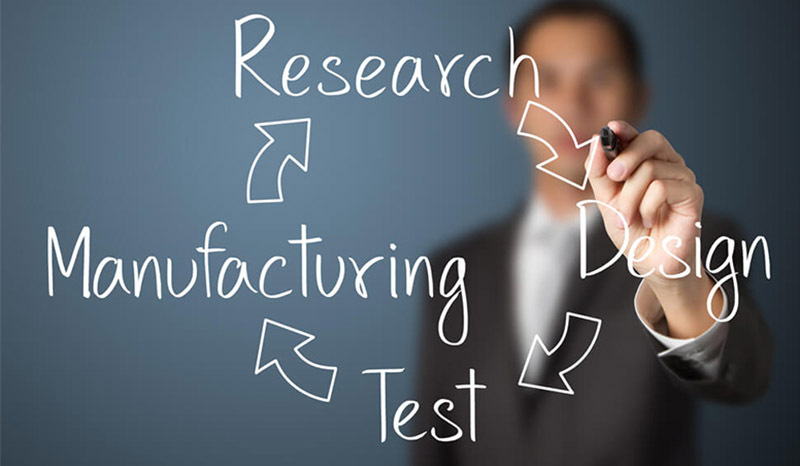 Many people always want to find a way to identify whether the supplier is a trading company or a manufacturer. I suggest that you don’t spend too much energy on it at first. 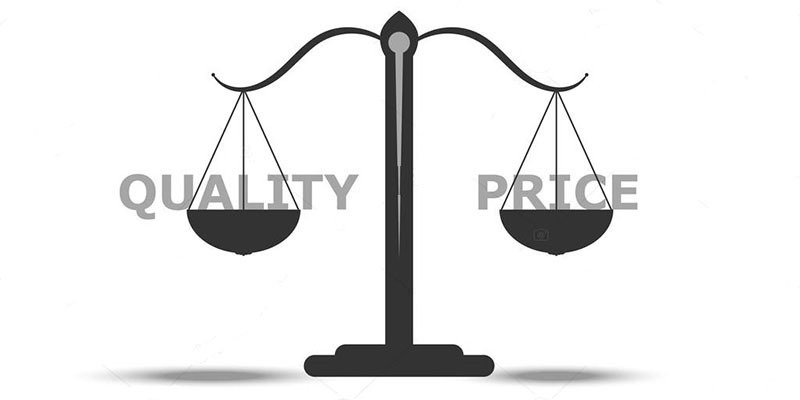 All you have to do is to make a balance between the quality and price of the product. As your business model matures, you will also gain more and more experience in dealing with the suppliers, and then you will meet more cost-effective suppliers. Alibaba is really a good place to find suppliers, but there are a few misunderstandings you should pay attention to. ♦ When looking for suppliers on Alibaba, those marked with “Gold Supplier” are not always the good ones. The truth is that, as long as you pay the annual fee of about $4,000 on Alibaba, you will be a gold supplier. So, almost everyone on Alibaba is a gold supplier. It’s wrong of you to use it as a criterion for judging a good supplier. ♦ Alibaba’s search ranking mechanism is different from Google. When you search for suppliers of a type of product, the top one may not always be a good supplier. Its good ranking is often based on expensive ad-rate. If too many suppliers on Alibaba gives you headaches and makes you go crazy, then Global Source and Made in China are better alternatives. Here, you won’t find so many suppliers, and the chances of finding a reliable supplier are also higher. Why? Both of these sites have much higher auditing standards and fees for members. So, in addition to being able to screen some of the most reliable suppliers in the market; the probability of finding a direct factory is also higher on Global Source and Made in China. At the same time, the MOQ on these two platforms is also higher than Alibaba. If you deal in machinery or electronic products, I suggest you go to Global Source & Made in China. 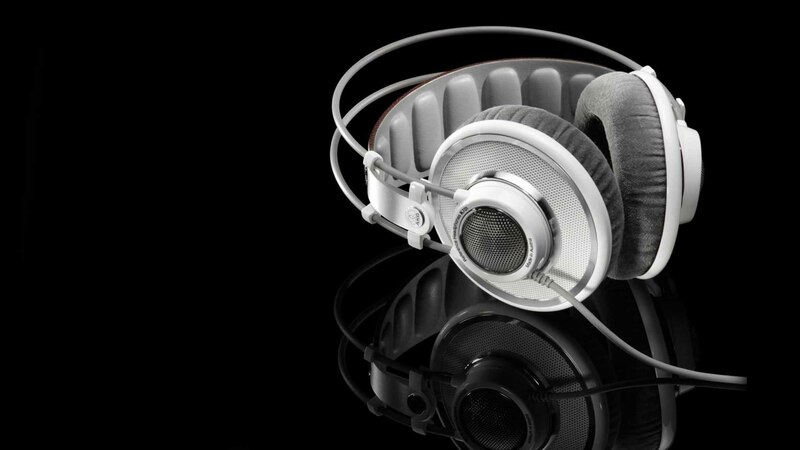 For example, if you want to develop a Bluetooth headset that you have designed yourself, finding suppliers on the two sites is more efficient, and the suppliers are also more professional. But remember, the MOQ on these sites is also higher than on Alibaba. The MOQ of these two sites is small. You can just place an order at a few hundred dollars. But the downside of Aliexpress and DHgate is that when you reorder from the same supplier, the quality of the product may be different from your first order. Don’t be surprised! The suppliers on the two sites go to many different factories to purchase the same product. So, they cannot guarantee consistent quality every time. Therefore, if you are running a long-term business, or are an Amazon seller, I will not recommend you to purchase from these two sites. 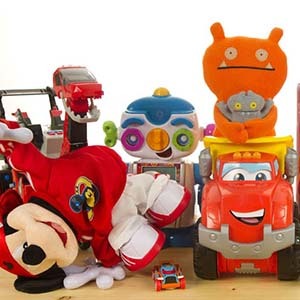 Many suppliers on AliExpress and DHgate also sell their own branded products, and they value the quality of product more than other suppliers. But, the problem is, if you purchase these brands from them, others will purchase them too. So, it will be hard to distinguish yourself from other competitors. $100 for an iPhone X? This too good to believe the offer is undoubtedly a scam. If something doesn’t conform to the logic of the market, you should be more careful. In the procurement of daily goods, you don’t normally encounter such ridiculous things. For example, you pay the money to the supplier but don’t receive the goods. Don’t worry! Most Chinese suppliers are now doing legitimate business. In general, the manufacturers on Alibaba have the invention patent certificate for its own products. If the trading companies resell the factory’s existing brand products, they will have a power of attorney from their factories. The trouble that many importers encounter is that the product quality of massive production does not match the samples. I will give you some advice on overcoming this issue. Before placing an order, you should test the suppliers from all aspects beyond letting them send you samples. Although you can’t completely avoid the risks, you must do your best to avoid some troubles. For example, ask your suppliers if they can trade via trade assurance of Alibaba instead of Paypal. Although you can apply for a refund in this way, the process is very complicated, and if your goods really have quality problems, you may not get a refund. Even so, why use this method? 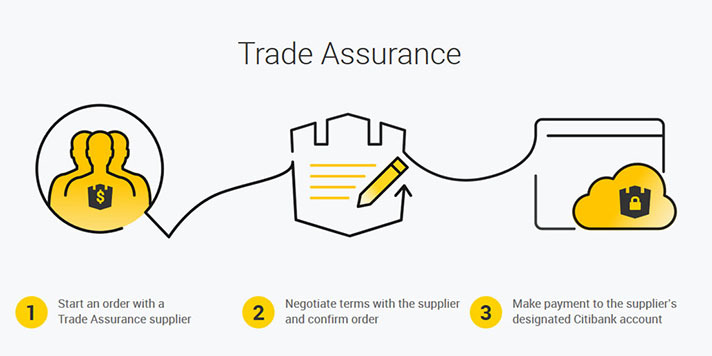 Because the suppliers promise you to use this method, indicating that the supplier is confident about the quality of their products. If your suppliers are not on Alibaba, then you should be even more careful. Check their business license and certificates of the products they export to other countries, which are under their company name. If so, it proves that this supplier is selling this product for a long time. You will always find cheap products on the market. But I bet you won’t purchase products from suppliers that are 15% cheaper than the lowest price in the industry. In business, you get what you pay for. Adjust your budget under the premise of ensuring product quality. Lowest prices may be accompanied by poor quality and at times scams. Some time ago, an Amazon seller sent us an inquiry to look for the surveillance cameras. We gave him three suppliers to choose from. But he thought that the price was high and he found a supplier offering him the cameras $1.85 cheaper than ours. After 3 months, we received an email from him saying that he had purchased 1000 surveillance Cameras in total but received only 927, and there were some defective products as well. He asked us for advice. I just want to say, don’t try to save a little and end up losing a lot. I think a qualified salesperson should be very familiar with the products he is selling. He knows its material, the price difference between different materials, advantages and disadvantages, and the relevant certificates required for import and export. You ask a question, and a good salesman will give you multiple options for you to choose the best one and save your time. But a poor salesman might struggle to answer your question clearly. What about salesmen at the trading companies in China? Most of them are college students who have not graduated for a long time and can communicate with foreigners in some basic English. They don’t have too much experience in international trade. If a product is more complicated, such as some chemical or engineering products, they may not be as professional as you. If you think that a supplier’s product quality and price are still good, but it is tough to communicate with this salesman, you can just write an email to the owner of the company directly and ask him to give you a better, more professional salesman. The salesman assigned to you by the suppliers is random, no matter on Alibaba or at the fairs. Once you show them that you are a big purchaser right at the beginning, they will send the salesman who has been in the company for a long time to serve you. Time is money, and hence an effective communication is critical. In international trade, communication mainly relies on Emails. In some areas of Europe and America, the time difference is long, which may lead to delayed responses. Using a common chat tool can solve this problem. Some Chinese suppliers may use Whatsapp or Skype, but they might not check the messages on time, while some suppliers don’t use them at all. I suggest you install a Chinese app like WeChat, on your phone. In Europe and America, not everyone uses Facebook to communicate, but in China, everyone uses WeChat in their daily life. They will reply to you at any time, even on weekends. Chinese people work hard. If a salesman doesn’t respond to Emails after work, you can consider changing a salesman or a supplier. Timely communication can solve most of your troubles and will make the process much smoother. A responsible supplier treats all the orders no matter how big or small, equally. However, many suppliers on Alibaba treat small orders (just reach MOQ, or are less than MOQ) is that they are interested in doing business with you once. Hence, they will offer you a higher price, and will also not care much about your order. Purchasing existing brand products from China or customizing a product, particularly a batch of products, can be a complex and time-consuming process from production to import to your country. There are various challenges in this process, especially if you are importing from China for the first time. This is why choosing a responsible supplier becomes even more important. Furthermore, small challenges and obstacles are bound to occur during production. For example, the logo is printed in the wrong position, or the requested changes have not been changed, etc. Here, the key to ensuring that everything goes perfectly is the attitude of the supplier to deal with these problems. If the supplier evades responsibility when something goes wrong with a product, or doesn’t compensate for the issues by getting them fixed then he’s definitely not a good supplier. A good supplier understands the truth of win-win and is willing to take the responsibility for his mistakes. He can make himself unprofitable because there are some unexpected problems in an order, but he will not let you suffer unreasonable losses. No matter large or small orders, he will always have a positive attitude, because he wants to establish a long-term cooperation with you. In business, you should always try your best to create favorable conditions for your business to thrive. Here, I’d like to share with you some tips drawn from the experience in dealing with suppliers for years. Some importers with significant expertise tend to grow fast every year due to their steady cash flow. For both big and small businesses, cash flow is the king. This is especially true for e-commerce businesses, such as Amazon, and Shopify. Now, let’s take a rough calculation of the cycle of capital turnover. In the case of Amazon, you pay in full when you place an order. It is assumed that the shipping will take 1-1.5 months, while the goods tend to sell out in around 2 months, after which the money is released by Amazon (assume 30 days). If everything goes well, then your return on investment will take at least 4 months. 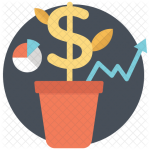 If you don’t get someone else’s investment or borrow from a bank, your annual business growth is limited. If you want to grow your business from $100,000 a year to $1 million, it’s vital if suppliers can support you on finance. It will be more challenging to get their support in the beginning. But, if you reorder the same product more than three times, you can try to communicate with your supplier and strive for a good payment term. For example, our company purchases goods for an import company in Europe. The importer started with the purchase of 500,000 US dollars in the first year, and we helped his business grow eight times in the first three years. We were able to establish trust in each other after successful cooperation for about six months. Now, no deposit is required while order placement and they just pay off the all payment before containers arrive at the seaport of Hamburg Germany. In this way, the supplier asks you to pay a 30% deposit while placing the order and the balance 70% can be paid off before shipment. Then the suppliers will arrange to ship to your country. Most suppliers use this payment term but it can’t help your cash flow much. This method also needs you to pay a 30% deposit while 70% of the balance payment needs to be paid to the supplier before your shipment arrives at your national port. Then you take the bill of lading that the supplier gave you to pick up your goods at the port. If your products are shipped to the west coast of the United States, it means that you have won at least one month shipping time. In brief, LC is the payment commitment for the bank designated by the supplier, which is issued by the banks of importers according to their requirements. That is to say, the importer promises to pay the supplier sometime in the future, so LC has a potential role in financing guarantee. 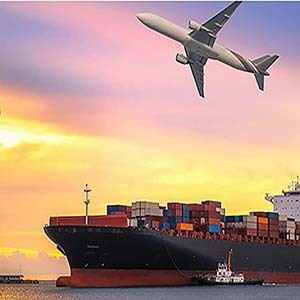 The OA has high requirements for the supplier’s capital flow and the credit of the importers, which means that you should have a good import record, and your supplier should also have strong financial strength. Wal-Mart generally uses OA. Therefore, this way gives most importers a second alternative to wire transfer 30% 70% (Before arriving at the port). The exchange rate is a dynamic data that changes in real time. It is normal that it changes between 5%-10% in half a year or a year. You don’t need to worry if the fluctuations aren’t significant since suppliers do not adjust product prices for slight exchange rate variations. For instance, if the rate drops from 6.5 to 6.2, it will not affect your product prices too much. However, if the exchange rate goes down a lot and your goods are high value, in this case, you can negotiate with the supplier to update the product price. One day, for example, the exchange rate was 6.9, falling back to 6.2. At this time, the supplier will adjust the price for you. A reliable and long-term cooperative supplier is also your resource; you should make good use of him. When you want to buy a new product, you can consult with your old supplier. You can let him purchase for you. It not only saves time but also reduces potential risks. If you can get some information about suppliers of the product from your old supplier, even if you purchase it yourself, it will also help you a lot. In business, timely and accurate information is priceless. If you run a fashion products business, you should always keep an eye on trends and what products your competitors are selling. You should also take the initiative to ask your supplier what the latest product is in this quarter. You have to get the most popular products for the first time to sell and earn more money in the first place. The supplier will continue to improve the product based on feedback from his customers. Many customers of the supplier, for example, require using leather at the bottom of a canvas diaper bag. At this time, you may also consider whether you need to upgrade your own products. All in all, the information from your suppliers is also important for your product ideas. I wrote a lot of blogs before. Let me list some of them below, which are about importing different kinds of products from China, main wholesale markets in China, and some real stories from our clients, including success and failure. I really want to share with you who are lost, I hope you can finish reading my articles, you will see a glimmer of light in the dark. Thank you for coming with me here. I hope this post showed you everything about finding good suppliers in China you didn’t know before. Which idea from this post are you ready to try first? Are you going to start your import journey? Maybe some points in this post leave you puzzled. Excellent Jing , we are looking for purchase of A4 copy paper from china can you please help us we want to take your services we are looking for best prices . Online we are getting fake company quotation. Exactly, VISHNU, for any further details you can feel free to consult our sourcing specialist. You’ll get more reasonable quotations. Hi Jing, Thanks for such an informative article. I was quite hesitant about where to start with searching for products. Knowing the differences between the likes of AliExpress and Made In China has really helped me plan further ahead in a way that supports my business model. 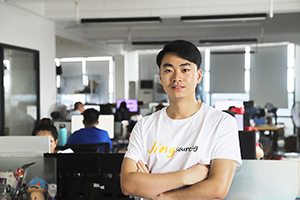 You can contact us at https://jingsourcing.com/submit-ticket/ to discuss and start! You are absolutely right. I have been to Yiwu and Guangzhou in China. I have the same experience. You have some very good articles. I’m keep reading… and hope you can tell the more truth about the wholesale market in China. Cool, Alexander, I‘m 22 years old and going to graduate the next year. I want to start my business by importing goods from China. I also want to visit Guangzhou and shenzhen in Yiwu, China. Glad you enjoyed the article,Alexander. I’ll continue to update on importing from China-related issues in future, and shoot me an email if you ever have any questions. Thank you for all these information. It’s very helpful for people like me who just start importing products. I shared this this article to my facebook.